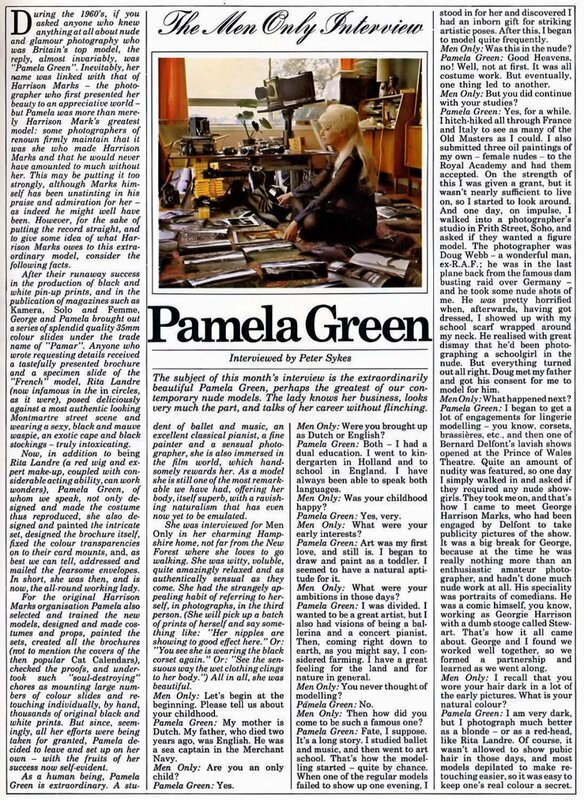 As promised in this post the full interview of Pamela Green from Men Only Magazine, Vol.39 No.5 (May 1974). An interesting read if you’re a PG fan and she makes an interesting comment about reviving Rita Landre with a new wig! Anyone know if she ever did and if any photo’s are around?